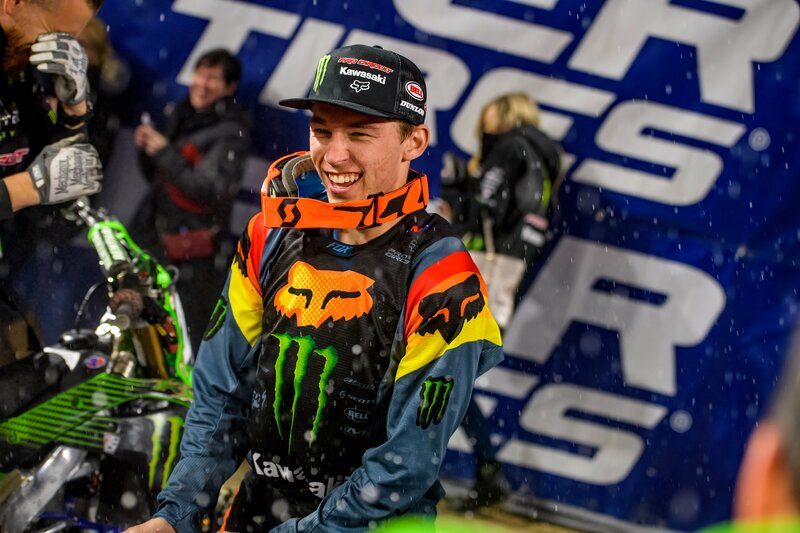 For Monster Energy/Pro Circuit/ Kawasaki rider Austin Forkner the day of racing could not have gone any better as he completed what some would call a “perfect day” in the racing world. Teammate Martin Davalos had a rollercoaster day of racing, but leaves Minnesota healthy and already looking forward to next week’s race in Dallas. It may have been snowing and negative degree temperatures outside, but Forkner brought the fire with him from start to finish. Forkner kicked off the day by qualifying fastest in practice. In Heat 2, Forkner captured the holeshot and jumped out to an early lead to run away from the competition, crossing the finish line in first place. 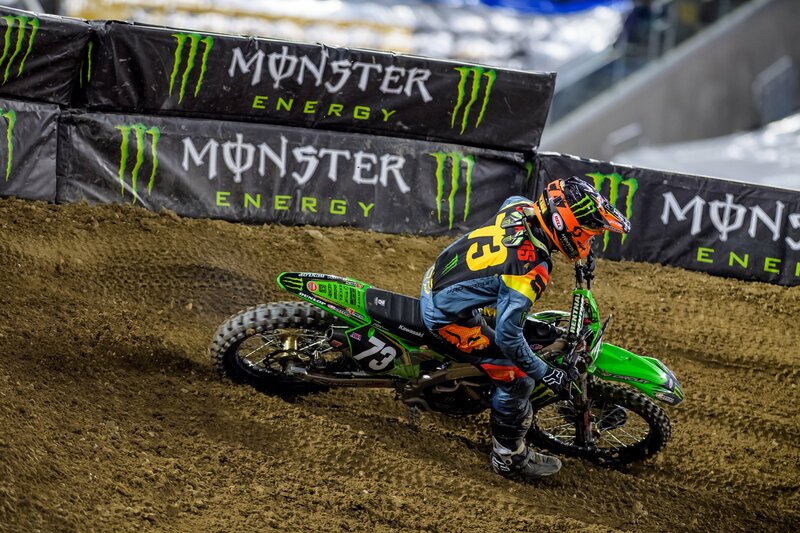 Forkner continued his hot streak heading into the Main Event by once againholeshotting the race and asserting his dominance by checking out from the rest of the field of competitors. 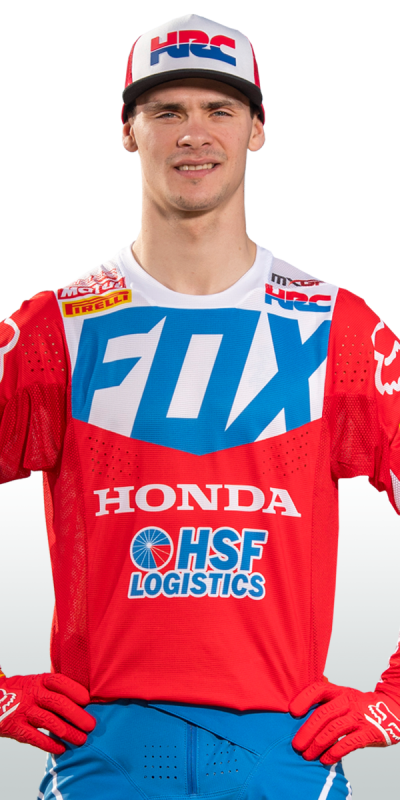 Forkner heads to Dallas with a three-point lead in the standings and the red plate. 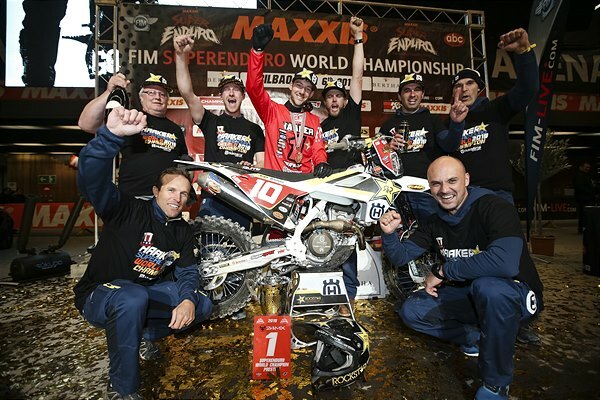 Davalos, a seasoned veteran came into the first round of the 250SX eastern region looking to fight for podium positions, but unfortunately suffered from a day of bad luck. In Heat 2, Davalos had a minor tip over when trying to make a pass that would knock him back; he was able to recover for seventh overall heading into the main. 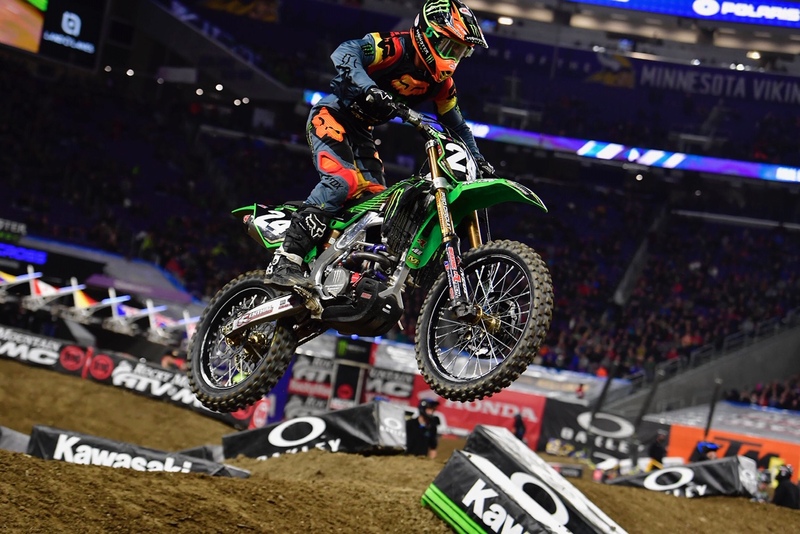 In the 250SX Main Event, Davalos jumped out to an impressive second place start behind his teammate Forkner, however bad luck struck again when another rider hit him on the dragonback right before the mechanic’s area. Davalos would remount,but struggled to find a rhythm after that and ultimately crossed the line in 16th place.